Jamie Neggers, Technical Trade winner, with MC Tracy Spicer. Dr Christine Shanahan, Engineering winner, with SYPAQ CEO Amanda Holt. Minister for Defence Marise Payne speaking at the gala awards. ADM Group Managing Editor Katherine Ziesing opening the awards ceremony. The gala lunch was held at the Pialligo Estate. A full gallery of images is available by clicking on the picture above. The inaugural Women in Defence Awards, hosted by MC Tracy Spicer, saw seven women honoured for their remarkable contributions to Defence and industry at a gala event in Canberra. Nicole Davies of Broadspectrum (Communications), Kirsty Buchan of BAE Systems Australia (Legal/Contracting), Group Captain Wendy Blyth of CASG (Project Management), Dr Christine Shanahan of DST Group (Engineering), Jamie Neggers of Top Aces (Technical Trade), and Tamara White of ASC (Rising Star) won awards for outstanding work in their fields. Ms Shireane McKinnie was inducted as the inaugural Hall of Fame member for her lifetime of service in the old Defence Materiel Organisation, and for her continued passion for engineering and project management with her work with Engineers Australia. Also in attendance were 12 other finalists nominated by friends and colleagues in each of the above categories, plus a wide range of industry and Defence figures, including Australia's first female Minister for Defence Senator Marise Payne. A number of speakers took to the podium to talk about the often-unrecognised contribution women make to Defence and industry, and highlighted the strengths that a diverse workforce brings to companies and organisations. A central theme soon emerged as women told their stories: You can't be it, if you can't see it. A central theme soon emerged as women told their stories: "You can't be it, if you can't see it." "We need to spread the word," Minister Payne said. "Indeed I hold firmly to the view that if you can't see it, you can't be it. Or it's certainly so much harder to be it." "I have always understood that I was “other” in my industry," SYPAQ CEO Amanda Holt said. "However it wasn’t until my first major project working in the dockyard that the extent of this “otherness” was truly felt." "With over 300 engineering and technical personnel in our project team, there were only three other women. I worked with more Ians in the Combat Systems team than women. I worked with more Johns in the management team than women. That, in a nutshell, is the purpose behind the Women in Defence Awards. It is worth spelling out clearly. Young women thinking of pursuing careers in Defence, in STEM, or related fields are more likely to do so if they see other women in the area. Numbers are not the only measure of equality, but they are a fair indication of whether an organisation is achieving equity of access and opportunity. Improvements have been made, but there is much more to be done. 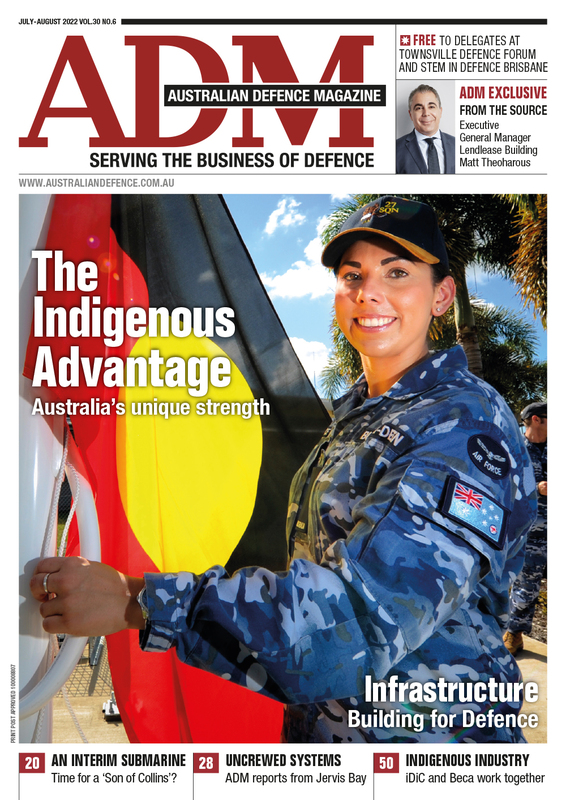 As our Managing Editor Katherine Ziesing pointed out in February, women make up roughly 40 per cent of the Defence APS workforce, below the wider APS average of 57 per cent. 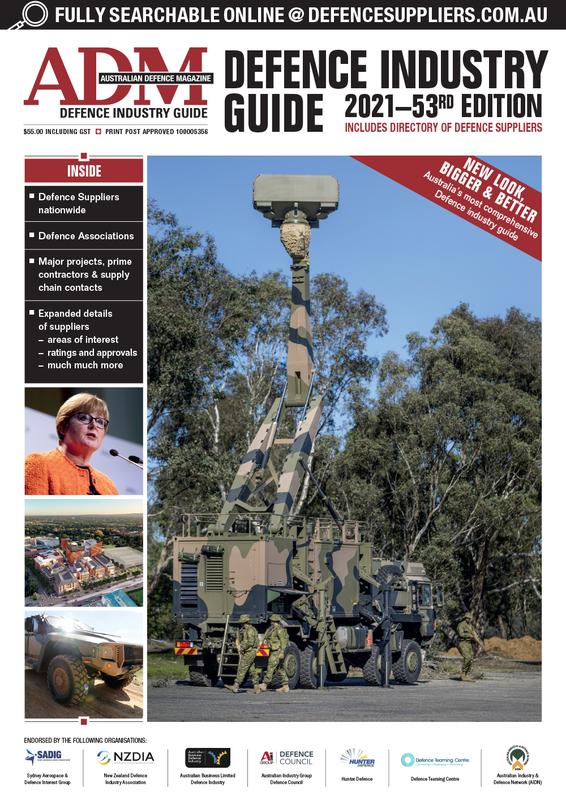 Only one of the Top 10 Defence companies in Australia has a minimum 30 per cent female representation (ASC, which has directors appointed by government). Those numbers can't be improved unless more women consider Defence as a career, and that is only likely to happen if women already in Defence are recognised and made visible. Yet this is not just about hitting a 50 per cent target. In her speech, Minister for Defence Marise Payne told the story of how in the days following a tsunami, women in Sri Lanka drowned themselves rather than be rescued by all-male crews. "Women, who had been stripped of their clothing, and one presumes their dignity and their self-respect and determination for life, when faced with boats of men only in the rescue efforts in the Sri Lankan tsunami, chose to drown," Minister Payne said. "They could not expose themselves. They could not humiliate themselves, they could not destroy their own cultural being." "If that's not a reason for embedding Women Peace and Security initiatives, if that's not a reason for the value of our gender advisors, then I won't be able to find one." Diversity is critical to the success of missions. It is critical to organisations' ability to recruit top talent. It is critical to the success of national endeavours - the shipbuilding program, the space agency, Australia's largest Defence modernisation program since WWII - and also ensures they are truly national. "We have a responsibility as we tread the path for the women who follow us," Minister Payne concluded. "First of all, to make sure that they are actually walking behind us. "Secondly, where we can, we must smooth that path."